Speed 0 to 300 Strokes per min. 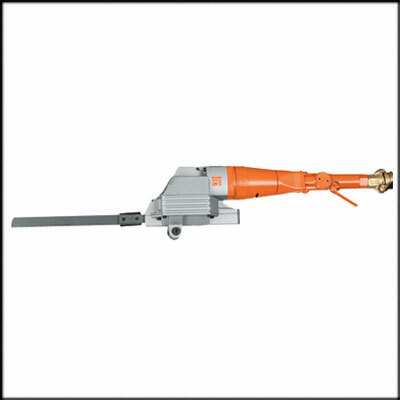 The WIDDER Pneumatic Hacksaw is suitable all types of field and in plant service. 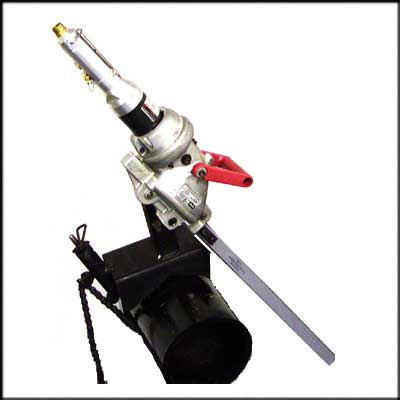 This HEAVY DUTY unit is driven by a 1.7 Horse Power Vane Air Motor. 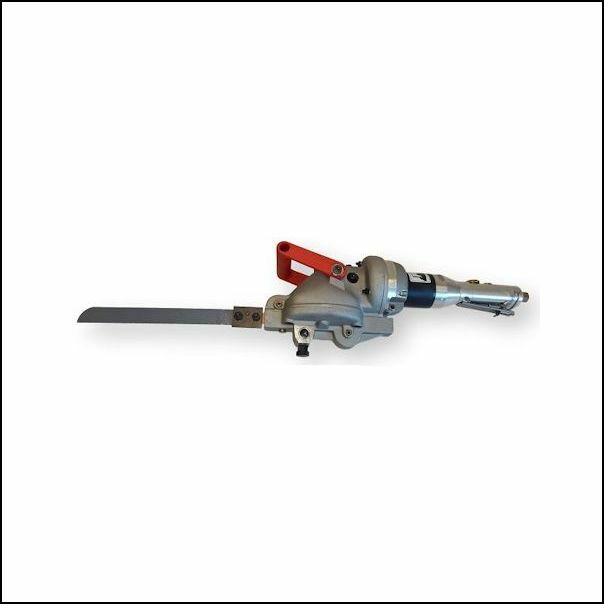 It's self contained throttle allows blade speed control from 0 to 300 strokes per minute. 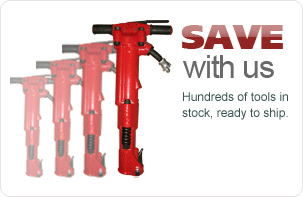 Airline filter and lubricator is recommended as well. Rigid clamping system mounts saw directly on workpiece. Extension Chains can be added to increase the capacity of clamps to meet your needs.